High fuel prices, the credit crunch and the economic slowdown have given motorists a break from congestion, with jams down 12 per cent on 2007, according to Trafficmaster and the RAC Foundation. The massive fall in congestion is the key finding of the Trafficmaster/RAC Foundation Journey Time Index, published today (26 August), which shows evidence that as motorists and companies start to cut down their motoring expenditure, congestion is reducing and journey times are getting quicker. * Overall traffic congestion across Britain’s motorways and trunk roads has reduced by 12% compared to the same last six months (January to June) in 2007. * The average speed on Britain’s motorways has slowed from 63.3 mph to 62.2 mph over the last year as motorists aim to conserve fuel. * Even though motorists have slowed down; in the last year (2008 compared to 2007) journey times have got faster by -0.3% as a result of clearer roads. However journeys times have increased by 2.6% since 2005. Overall the route with the most dramatic decrease in congestion is the M25 Northern sector between junctions 21 and 31, with a 26% reduction in traffic jams over 12 month period from June 2007 to June 2008 compared to same period the year before. This change in traffic trends is down to a general drop in the number of vehicles, particularly heavy goods vehicles, travelling at peak times. This could in part be due to the downturn in the retail and construction industries that predominately make up the commercial vehicle segment. The completion of a number of major road works also plays a major part in the dramatic decrease in congestion. The Journey Time Index monitors 26 major routes across the UK over the last three years. It also looks at the rise and fall in congestion with reference to the worst traffic hotspots across the country. As a summer issue the Index also publishes data on the most congested holiday routes and identifies the events and festivals that have the biggest impact on the country’s roads. Trafficmaster is an expert in intelligent driving. The Group comprises US-based Teletrac Inc. and Trafficmaster Plc in the UK. Both organisations focus on intelligent vehicle services which enhance the driving experience and improve business performance by saving companies and driver’s time and money and reducing their environmental impact. Teletrac Inc offers fleet tracking, management and navigation solutions under the Fleet Director brand across the US, serving 5,000 fleets and a total of 75,000 commercial vehicles, using wireless and GPS technology. The group has also developed a suite of Trafficmaster services in the UK. Trafficmaster’s key product is the award-winning Smartnav, an intelligent satellite navigation system, which uses live traffic information and real-time road speeds to calculate optimum routes and avoid traffic congestion on the way. Trafficmaster’s comprehensive traffic data means Smartnav is continually updated with traffic information, road closures and speed camera locations, without the need for CDs or internet-sourced updates. Trafficmaster also offers Trackstar stolen vehicle tracking, monitored 24 hours a day in the Trafficmaster Control Centre. Stolen vehicles can automatically inform Trafficmaster and are then monitored remotely and police informed of their whereabouts for fast and efficient recovery. The company provides live traffic information direct via mobile phone services and Radio Data System -Traffic Message Channel (RDS TMC) to other aftermarket and factory-fit satellite navigation systems. Trafficmaster also maintains a unique traffic monitoring network of 7,500 sensors, covering 8,000 miles of UK motorways and trunk roads. In 2007 the company launched its fleet management solution, Fleet Director, in the UK. 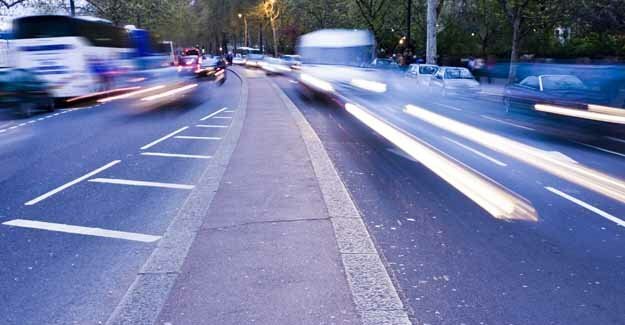 Combining all of Trafficmaster’s intelligent technology businesses can save time and money, whilst reducing the environmental impact of driving. Trafficmaster was founded in 1988 and floated on the London Stock Exchange in 1994. Teletrac Inc is a wholly owned US subsidiary company. The RAC Foundation for Motoring is an independent charity established to promote the environmental, economic, mobility and safety issues relating to use of motor vehicles. Our vision: Advocating innovative transport solutions for safer roads, safer drivers, greener cars, improved mobility and a fair deal for motorists.